Colour of island - What is the colour of the island? colour of this kitchen - Could you please advise me on a colour of this kitchen. Thank you. Get comfyBreakfast bars don’t have to be just for rushed snacks. 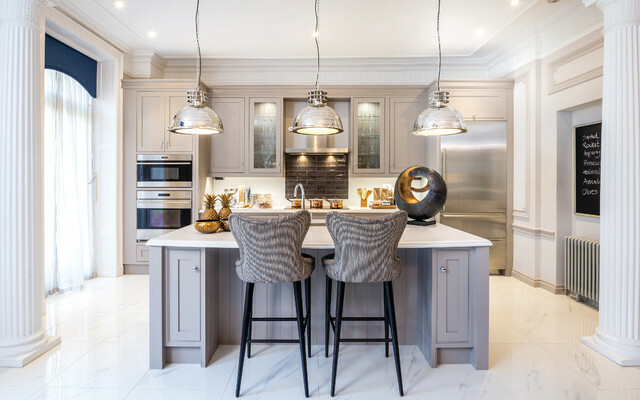 If your kitchen island also doubles up as your eating area, make it as comfortable as possible with upholstered stools like these and turn a quick meal into an occasion. The black legs and curved shapes of these stools add a shot of glamour to this chic grey kitchen.